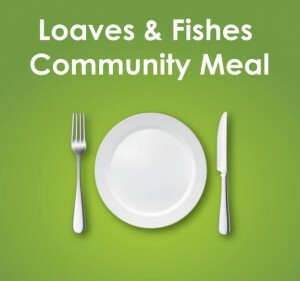 The Loaves & Fishes community meal in Bruner Hall is now two Saturdays a month (the first and third)! Participating churches take turns preparing the food (serving from 11:30 to 1PM). About 12-15 volunteers are needed to either: greet, prepare food and cook, serve, setup, cleanup and make home deliveries. Various groups and congregations coordinate the meals. If you wish to help at any time, you can show up beginning at 10am.